Their bio says the sound of a great band is usually developed through the relationships the members have with one another as much as their technical abilities. This is certainly the case with NewTown Band which consists of award-winning vocalist/fiddler Kati Penn Williams and her lead, harmony vocalist, banjo player husband, Jr. Williams. He attributes a fair amount of the success of the band to the fact that NewTown features, “some of the finest musicians I’ve ever had the opportunity to pick with.” In addition to his wife, the other musicians he is referring to are guitarist/vocalist Hayes Griffin, mandolinist Mitchell Cannon, and bassist/vocalist Travis Anderson. Jr. is not kidding with his kudos. Seriously, their music credentials validate they have most assuredly earned the right to be called some of the finest and not just in Bluegrass, but in any genre. 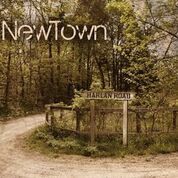 Kati and Jr. are seasoned veterans of the Kentucky music scene but whether it's Bluegrass, Kentucky Bluegrass, country, gospel or Newgrass, it's clear NewTown Band has mastered them all so what you get are first-rate vocal and instrumental work from five superb musicians. The band’s newest album, Harlan Road, combines outstanding vocal performances with exceptional instrumental backing by every member of this amazing band. The first single to be released from the album is the title track which really sets the bar high for the rest of the album but this band can and will, effortlessly keep you entertained through the additional ten tracks. All of the tracks were excellent and even when I didn't relate to the lyrics, the instrumentals were so uplifting I could simply lose myself in the music. Oh, and I have decided that I now love the mandolin. As for the stand out track for me, it would have to be the hauntingly beautiful final track, "Come Back To Me". It is such a simple song but the vocal harmonies are beyond splendid and although the instrumentals are subtle on this cut, they permeate your being in a most gentle way so the music stays with you long after the CD ends.